It appears that the flow comes from the hinge area and that the flow is mostly over the top of the hinge, which is why it takes a fair amount of water to get the floodgates to open. The RRS plate makes an effort to seal the top of the hinge, but it’s not working well. Looking at the camera itself, there is no soft material that mates with the top of the hinge, so this flooding over the top is likely to occur at least as badly with cameras that have no plate attached. This explains why some users have reported no problems when setting the camera down on wet surfaces, and others have had flooding — it depends on how deep the water is. It is possible, and even likely, that there will be leakage with small amounts of water given enough time. I only gave the camera a minute or so to deal with the small amount of water before I increased the depth. I hope the Sony will fix this design issue in time for the new A7sIII. 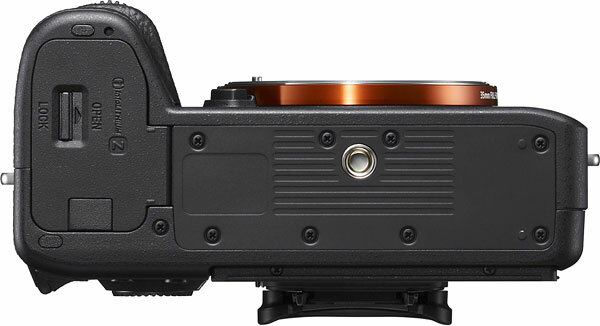 next post: The first Sigma ART FE lenses are now shipping. And here are the owners reviews and unboxing videos.